Fresh examinations of lunar rocks gathered by Apollo mission astronauts have yielded new insights about the moon’s chemical makeup as well as clues about the giant impacts that may have shaped the early beginnings of Earth and the moon. Geochemist James Day of Scripps Institution of Oceanography at UC San Diego and colleagues Randal Paniello and Frédéric Moynier at Washington University in St. Louis used advanced technological instrumentation to probe the chemical signatures of moon rocks obtained during four lunar missions and meteorites collected from the Antarctic. The data revealed new findings about elements known as volatiles, which offer key information about how planets may have formed and evolved. 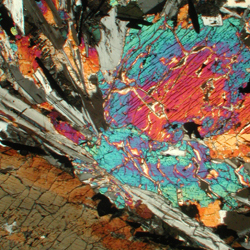 A cross-polarized transmitted-light image of a polished section of Apollo sample 12021. The results are published in the October 18 issue of the journal Nature. 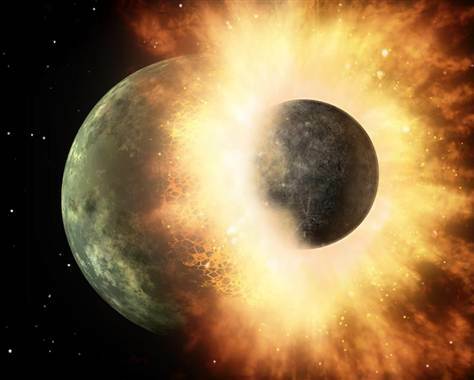 According to Day, a gigantic planetary collision resulting in global transformations might be responsible for eradicating such elements. 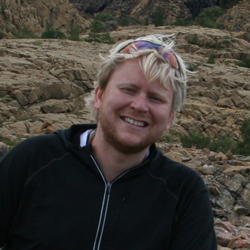 Day recently led a study in the journal Nature Geoscience that showed how such a collision might have brought precious metals such as gold and platinum to Earth, likely just after the solar system formed (http://explorations.ucsd.edu/research-highlights/2012/not-of-this-world/). To derive the findings published in the new study, the researchers employed a mass spectrometer device, an advanced instrument that precisely measures the ratios of isotopes of a particular chemical element, which Day said revealed information not accessible even five years ago. Comparing the zinc composition of moon rocks with rocks from Earth and Mars revealed severe depletions in the lunar samples. The next stage of this research, Day said, is to investigate why Earth is not similarly depleted of zinc and similar volatile elements, a line of exploration which could lead to answers about how and why the earth is mostly covered by water. 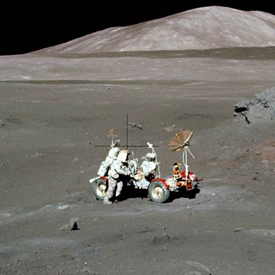 Although the Apollo mission rocks were collected more than 40 years ago, the new study proves they are still offering new insights. The NASA Lunar Advanced Science and Exploration Research and Cosmochemistry programs supported the research, which is representative of the work of planetary scientists at Scripps.